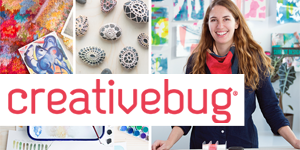 Creativebug.com has more than 1,000 award-winning art & craft video classes taught by design experts and artists. It is now FREE with your Berlin-Peck Memorial Library card. Learn how to navigate the website by attending this session (please note: we are also offering an evening session on 5/22).